Wash figs and carefully pat them dry with paper towel. 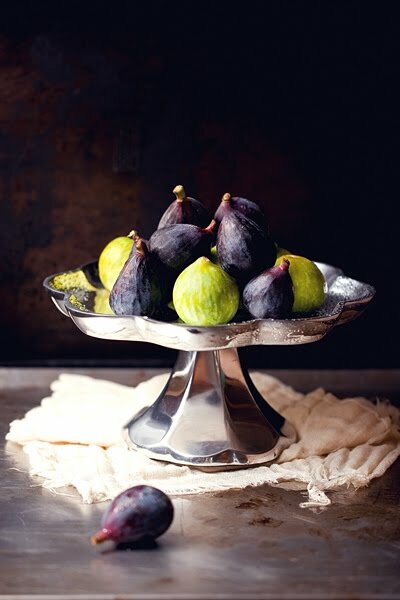 Remove the stems, then cut the figs crosswise from the top, about halfway down the fruit. Gently push them down so that they flatten a bit and will remain straight while baking. 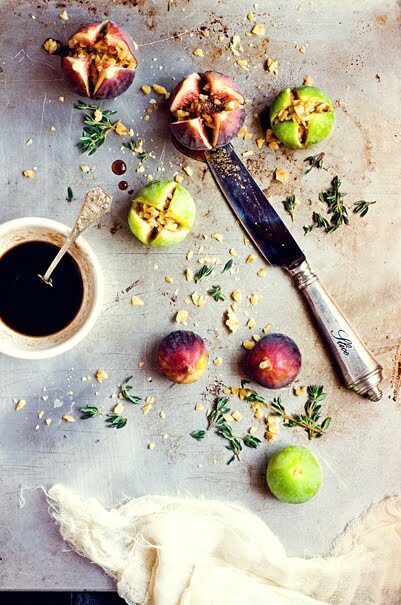 Stuff figs with some coarsely chopped walnuts and one or two thyme sprigs, cut in half. 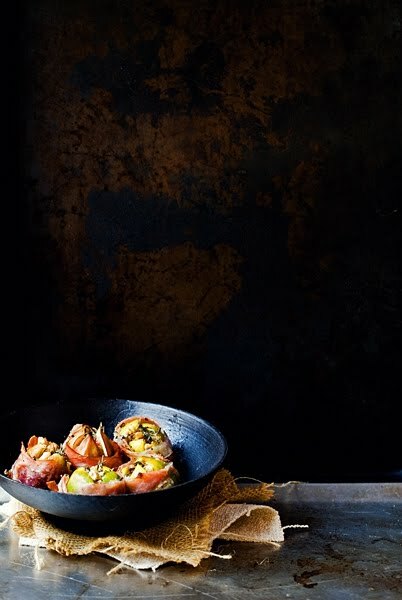 Cut each slice of prosciutto lengthwise into two or three strips, and wrap each fig with one of them. In a separate bowl, mix two tablespoons of honey with a little balsamic vinegar. Season the figs with salt and pepper, and a few drops of the balsamic emulsion. Bake at 400 for about 15 minutes, until prosciutto is slightly crisp and figs are soft. Serve them warm with the juice released while roasting.